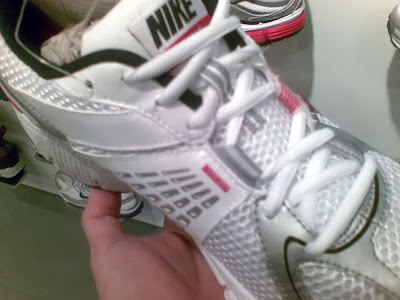 The Nike Air Span+ 6 showed up in the shops locally eventhough it's supposed to have a February release date. 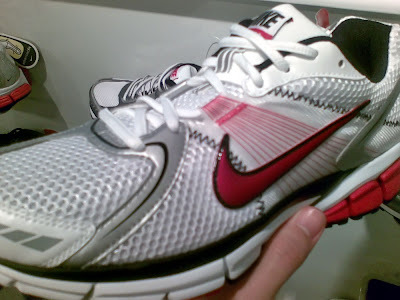 My regular running shoes are the Air Span 4+, and the 6's flywire feels uncomfortable to my hands, but I didn't actually try them on. Sorry for the blurrycam pics, but I only had my phone with me. lol... it's always good to have a one like this. 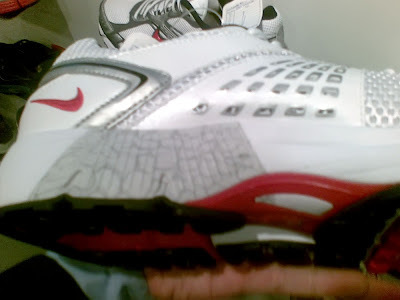 I need to buy one "Nike Air ZOOM VAPOR JET 4.2 D Shoes" for the tournament I have next week.